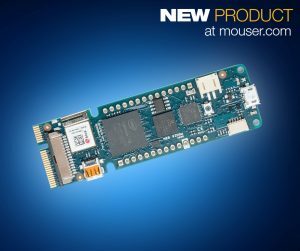 Mouser Electronics, Inc., the New Product Introduction (NPI) leader empowering innovation, is now stocking the MKR VIDOR 4000 development board from Arduino. 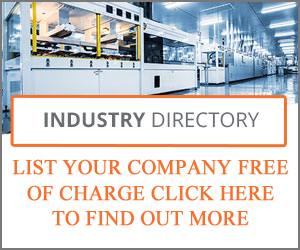 The MKR VIDOR 4000 lets engineers essentially create their own controller board, boasting an array of robust hardware plus Wi-Fi and Bluetooth® connectivity on top of an Intel® Cyclone® 10 field programmable gate array (FPGA) and Microchip SAM D21 microcontroller. The highly configurable and powerful board offers fifty-six 18-bit × 18-bit hardware multipliers for high-speed DSP applications. The FPGA pins can toggle up to 150MHz and can also be configured as common communications ports such as UART, I²C, and SPI, making it ideal for audio and video processing. The MKR VIDOR 4000 also includes aMicrochip ECC608 CryptoAuthentication IC, which combines world-class hardware-based key storage with hardware cryptographic accelerators to implement various authentication and encryption protocols.